Hello beautiful earthlings! 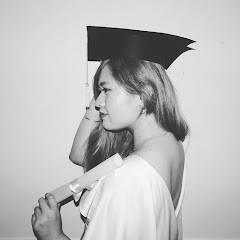 Since it is my day off, why not post two blog posts for today! This post is dedicated to our first day in SIN! 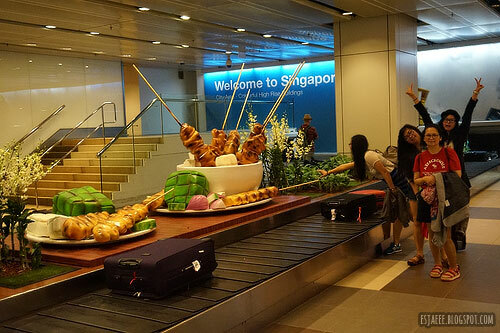 The first thing in Singapore that caught our attention was the giant chicken skewers in the middle of baggage claim! Mom even wanted to have her solo photo taken, There was a taxi counter in the airport where they offer taxis that would accommodate the size of our group. We waited for just about three minutes for our taxi to arrive. It was not a long wait. I think the taxi ride costs us between SGD20-30. The accommodation we had was about 20 to 30 minutes away from the airport. After checking in, we decided to roam around the city. 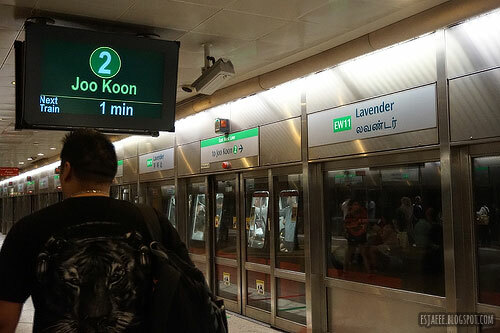 There was a little 7-Elevn store in Lavender LRT station. 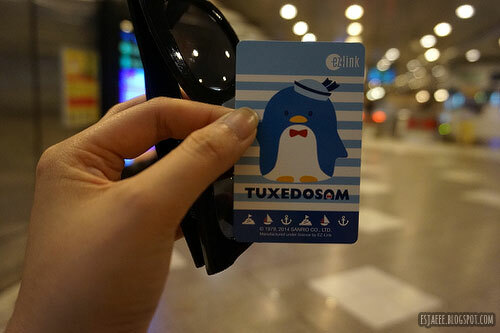 We were told that we should just get the travel cards they have for SGD10. I honestly think that we were ripped off that time since you could only use SGD5 as your travel money. We just lost the other half because we bought the card but I guess we had a souvenir at the end of it? 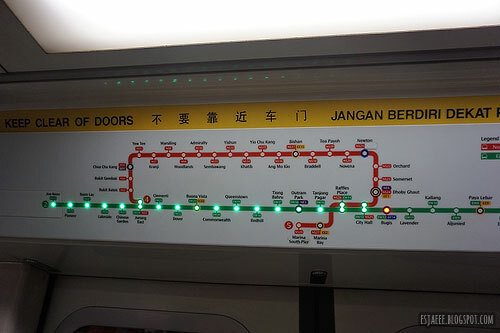 We took the LRT going to Orchard so that we could have our late lunch. We got off Orchard and went in a shipping mall there. I cannot remember the name of the mall but when we went in, the first thing we saw was their cosmetic section. They also had a food court in the basement where we had food. I had my food in Tang's Market. 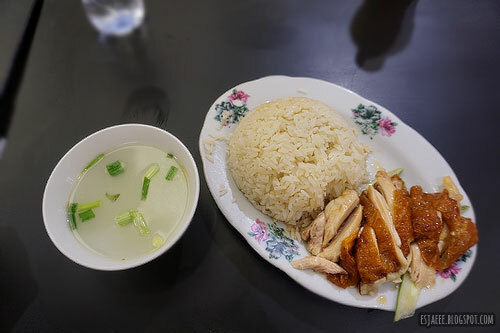 Of course I had to had Singapore's well known Hainanese chicken rice. It was so good but I was really starting to feel conscious with what I was eating. My normal diet didn't involve that much rice. The rice was actually buttered garlic rice that made it lean to the naughtier side. 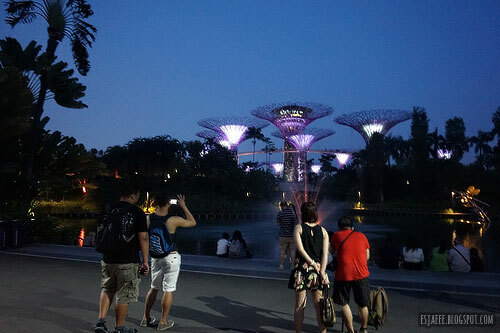 We took the LRT going to Gardens of the Bay to watch the light show at night. The light show was beautiful! 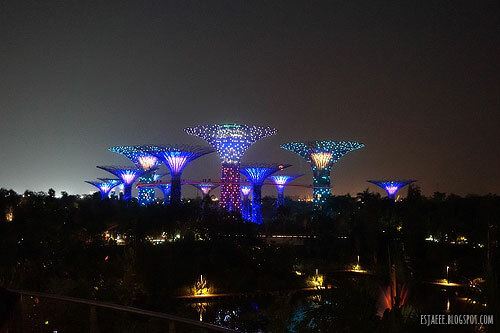 Across the flower-like trees is the Marina Bay Sands hotel. 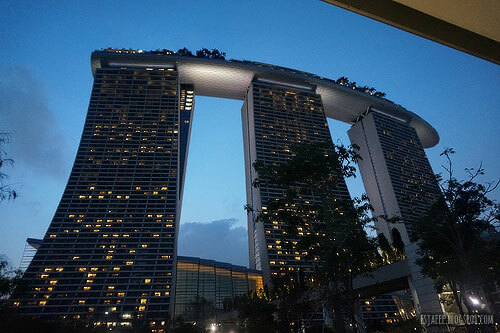 The hotel's structure is magnificent. It really amazed me. We were told that you could go to the bar in the hotel and have a couple of drinks. that was the perfect place where you'd see a much perfect view of the light show. When we got to the bar area, only guests were allowed to sit inside. Non-guests were allowed to order from their menu however, they offered us to just sit at the entrance/hallway. 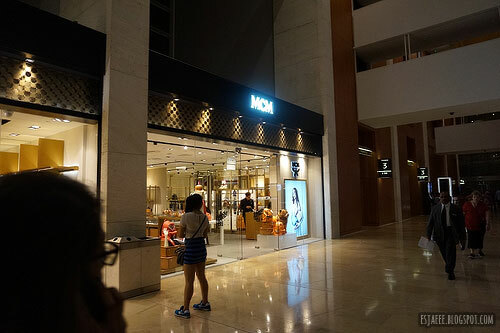 There are a lot boutiques in the hotel and MCM was the boutique that made me cry, literally. I wanted an MCM backpack but could never afford one! I don't think I would have the guts to spend so much on just one item. Here' s my vlog of our first day in Singapore: I'm so sorry if this post is quite lacking. 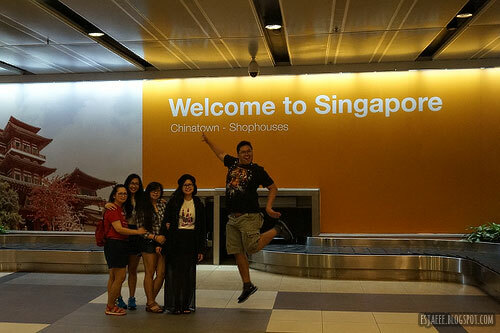 We didn't do much on the first day since we got to Singapore late and we were quite hangry that we just ended up going home earlier than expected. Please look forward to the next Singapore related posts and hopefully the content would be better than this. Peace & Love!